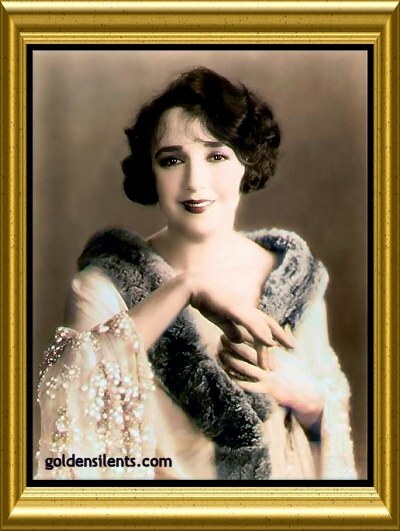 There was no one else quite like Bebe Daniels. 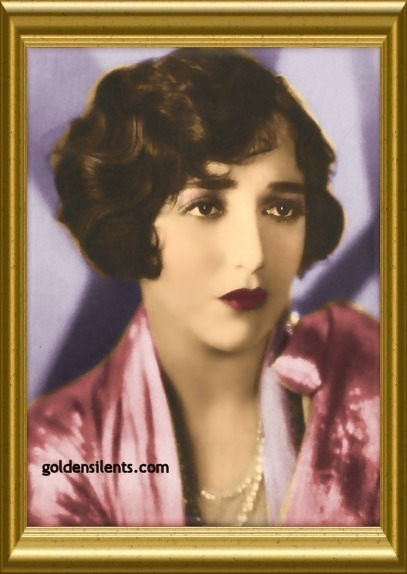 This silent screen star was a descendant of a royal Spanish family. She was born in Dallas, Texas to an American show business family, on January 14th, 1901. She first appeared on the stage while just a tot. 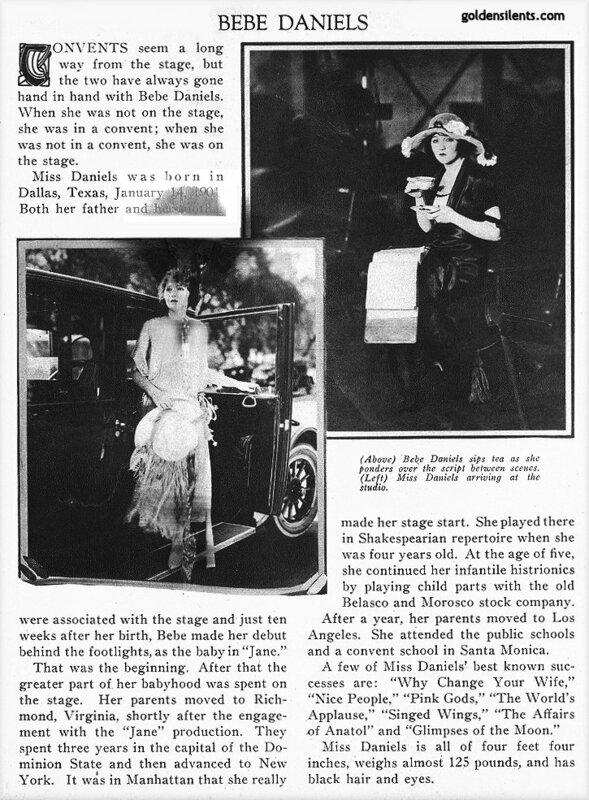 Bebe could play slapstick comedy and romantic comedy; she also excelled at playing vamps, drama queens; she could perform in musicals as a singer and dancer, and she could even do Shakespeare. In her early years, in between performing on stage, she attended convent schools for her education. 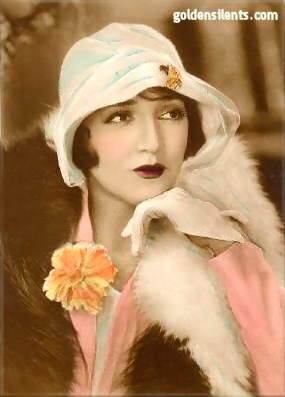 Bebe began her screen career at the age of eight, and worked for several early studios, including Imperial, Pathé, Selig Polyscope and more. She played the first Dorothy in 1910's "The Wonderful Wizard of Oz." She starred as leading lady to comedian Harold Lloyd in his early "Lonesome Luke" and "Glasses Character" silent slapstick comedies. She starred in popular films for Cecil B. DeMille, including "Male and Female" (1919) and "Why Change Your Wife?" (1920). When sound arrived, Bebe transitioned nicely, thanks to a lovely singing voice, and she performed well in early musicals such as "Rio Rita" (1929) with John Boles and "42nd Street" (1933) with Warner Baxter. 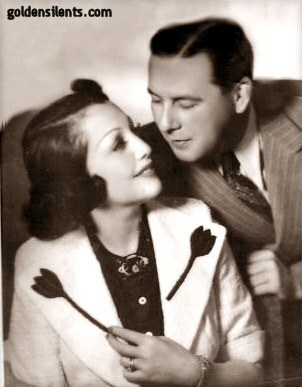 Bebe was happily married to fellow actor Ben Lyon from 1930 until her death.